Fruitless Pursuits: FPcast for August 21 2017: Logan Lucky! 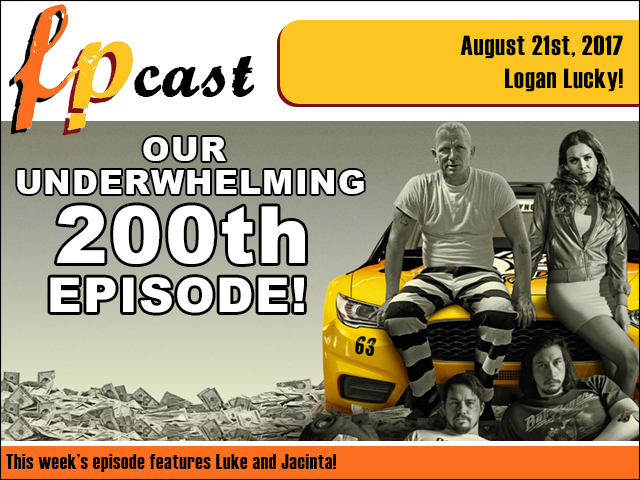 FPcast for August 21 2017: Logan Lucky! Holy crap it's our 200th episode! And we celebrate it by reviewing hillbilly crime caper Logan Lucky, plus we talk Obi Wan, Game of Thrones and who knows what else?! It's a podcast celebration but without the cake, or decorations, or sense of occasion, or content! LAP IT UP!